Scope of expertise: Geochronology, igneous petrology and geochemistry, flood basalts, geology of Siberia. Ivanov, A.V., Demonterova, E.I., Reznitskii, L.Z., Barash, I.G., Arzhannikov, S.G., Arzhannikova, A.V., Hung, C.-H., Chung, S.-L., Iizuka, Y., 2016, Catastrophic outburst and tsunami flooding of Lake Baikal: U-Pb detrital zircon provenance study of the Palaeo-Manzurka megaflood sediments. International Geology Review, doi:10.1080/00206814.2015.1064329, in press. Reznitsky, L.Z., Shkol’nik, S.I., Ivanov, A.V., Demonterova, E.I., Letnikova, E.F., Hung, C.-H., Chung, S.-L., 2015, The Hercynian Ikat thrust in the Transbaikalia segment of the Central Asian Orogenic Belt // Russian Geology and Geophysics, v. 56(12), p. 1671-1684. Ivanov, A.V., 2015, Why volatiles are required for cratonic flood basalt volcanism: two examples from the Siberian Craton, in Foulger, G.R., Lustrino, M, and King, S., eds, The Interdisciplinary Earth: A volume in honor of Don L. Anderson, GSA Special Paper 514 / AGU Special Publication 71, p. 325-338. Kamenetsky, V.S., Park, J.-W., Mungall, J.E., Pushkarev, E.V., Ivanov, A.V., Kamenetsky, M.B., and Yaxley, G.M., 2015, Crystallization of Pt-group minerals from silicate melts: evidence from Cr-spinel-hosted inclusions in volcanic rocks. Geology, v. 43, p. 903-906. Ivanov, A.V., Demonterova, E.I., He, H., Perepelov, A.B., Travin, A.V., and Lebedev, V.A., 2015, Volcanism in the Baikal rift: 40 years of active-versus-passive model discussion. Earth-Science Reviews, v. 148, p. 18-43. Ivanov, A.V., Vanin, V.A., Demonterova, E.I., Gladkochub, D.P., and Donskaya, T.V., 2015, Application of the ‘no fool’s clock’ to dating the Mukodek ore field, Siberia, Russia. Ore Geology Reviews, v. 69, p. 352-359. Ivanov, A.V., Demonterova, E.I., Gladkochub, D.P., and Donskaya, T.V., 2014, The Tuva-Mongolia Massif and the Siberian Craton – are they the same? : a comment to “Age and provenance of the Ergunahe Group and the Wubinaobao Formation, northeastern Inner Mongolia, NE China: implications for tectonic setting of the Erguna Massif” by Zhang et al. International Geology Review, v. 56, p. 954-958. Muravyeva, N.S., Belyatsky, B.V., Senin, V.G., and Ivanov, A.V., 2014, Sr-Nd-Pb isotope systematics and clinopyroxene-host disequilibrium in ultra-potassic magmas from Toro-Ankole and Virunga, East African Rift: Implications for magma mixing and source heterogeneity. Lithos, v. 210-211, p. 260-277. Wang, Y., He, H., Ivanov, A.V., Zhu, R., and Lo, C., 2014, Age and origin of charoitite, Malyy Murun Massif, Siberia, Russia. International Geology Review, v. 56, p. 1007-1019. Sheth, H.R., Zellmer, G.F., Demonterova, E.I., Ivanov, A.V., Kumar, R., and Patel, R.K., 2014, The Deccan tholeiite lavas and dykes of Ghatkopar-Powai area, Mumbai, Panvel flexure zone: Geochemistry, stratigraphic status, and tectonic significance. Journal of Asian Earth Sciences, v. 84, p. 69-82. Ivanov, A.V., and Litasov, K.D., 2014, The deep water cycle and flood basalt volcanism. International Geology Review, v. 56, p. 1-14. Kiselev, A.I., Yarmolyuk, V.V., Ivanov, A.V., and Egorov, K.N., 2014, Middle Paleozoic basaltic and kimberlitic magmatism in the northwestern shoulder of the Vilyui Rift, Siberia: relations in space and time. Russian Geology and Geophysics, v. 55(2), p. 144-152. Latyshev, A.V., Veselovskiy, R.V., Ivanov, A.V., Fetisova, A.M., and Pavlov, V.E., 2013, Short intense bursts in magmatic activity in the south of Siberian Platform (Angara-Taseeva depression): the paleomagnetic evidence. Izvestia - Physics of the Solid Earth, v. 49, p. 823-835. Badminov, P.S., Ivanov, A.V., Pisarskii, B.I., and Orgil’yanov, A.I., 2013, The Oka hydrothermal system, East Sayan Mountains. Journal of Volcanology and Seismology, v. 7, p. 265-276. 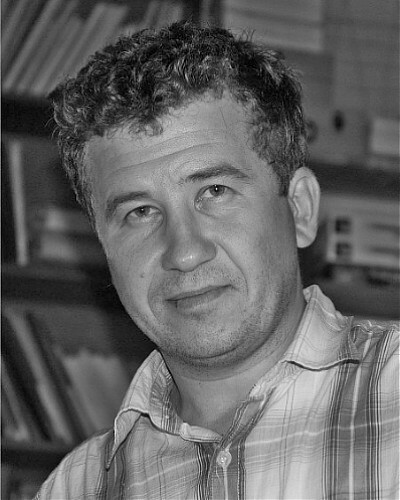 Ivanov, A.V., Mazukabzov, A.M., Stanevich, A.M., Palesskiy, S.V., and Kozmenko, O.N., 2013, Testing the snowball Earth hypothesis for the Ediacaran. Geology, v. 41, p. 787-790. Ivanov, A.V., He, H., Yan, L., Ryabov, V.V., Shevko, A.Y., Palesskii, S.V., and Nikolaeva, I.V., 2013, Siberian Traps Large Igneous Province: Evidence for two flood basalt pulses around the Permo-Triassic boundary and in the Middle Triassic, and contemporaneous granitic magmatism. Earth-Science Reviews, v. 122, p. 58-76. Donskaya, T.V., Gladkochub, D.P., Mazukabzov, A.M., and Ivanov, A.V., 2013, Late Paleozoic – Mesozoic subduction-related magmatism at the southern margin of the Siberian continent and the 150-million-year history of the Mongolia-Okhotsk Ocean. Journal of Asian Earth Sciences, v. 62, p. 79-97. Demonterova, E.I., Ivanov, A.V., Reznitskii, L.Z., Belichenko, V.G., Hung, C.-H., Chung, S.-L., Iizuka, Y., and Wang, K.-L. 2011. Formation history of the Tuva-Mongloian Massif (Western Hubsugul region, North Mongolia) based on U-Pb dating of detrital zircons from sandstone of the Darkhat group by the LA-ICP-MS method. Doklady Earth Sciences, v. 441(1), p. 1498-1501. Ivanov, A.V., Arzhannikov, S.G., Demonterova, E.I., Arzhannikova, A.V., and Orlova, L.A., 2011, Jom-Bolok Holocene volcanic field in the East Sayan Mts., Siberia, Russia: structure, style of eruptions, magma compositions, and radiocarbon dating. Bulletin of Volcanology, v. 73, p. 1279-1294. Gladkochub, D.P., Donskaya T.V., Ivanov, A.V., Ernst, R., Mazukabzov, A.M., Pisarevsky, S.A., and Ukhova, N.A., 2010, Phanerozoic mafic magmatism in the southern Siberian craton: geodynamic implication. Russian Geology and Geophysics, v. 51(9), p. 952-964. Paton, M.P., Ivanov, A.V., Fiorentini M.L., McNaughton, N.J., Mudrovska, I., Reznitskii, L.Z., and Demonterova, E.I., 2010, Late Permian and Early Triassic magmatic pulses in the Angara-Taseevskaya syncline, southern Siberian Traps and their possible influence on the environment. Russian Geology and Geophysics, v. 51(9), p. 1012-1020. Ivanov, A.V., and Demonterova, E.I., 2010, Extension in the Baikal rift and the depth of basalt magma generation. Doklady Earth Sciences, v. 435(2), p. 1564-1568. Ivanov, A.V., He, H., Yang, L., Nikolaeva, I.V., and Palesskii, S.V., 2009, 40Ar/39Ar dating of intrusive magmatism in the Angara-Taseevskaya syncline and its implication for duration of magmatism of the Siberian traps. Journal of Asian Earth Sciences, v. 35, p. 1-12. Ivanov, A.V., and Demonterova, E.I., 2009, Tectonics of the Baikal rift deduced from volcanism and sedimentation: A review oriented to the Baikal and Hovsgol Lake systems. In: Müller, W.E.G., Grachev, M.A., eds., Biosilica in Evolution, 27, Morphogenesis, and Nanobiology, Progress in Molecular and Subcellular Biology, Marine Molecular Biotechnology, v. 47, 27-54. Springer-Verlag, Berlin, Heidelberg, Germany. Ivanov, A.V., Palesskii, S.V., Demonterova, E.I., Nikolaeva, I.V., Ashchepkov, I.V., and Rasskazov, S.V., 2008, Platinum-group elements and rhenium in mantle xenoliths from the East Sayan volcanic field (Siberia, Russia): evaluation of melt extraction and refertilization processes in lithospheric mantle of the Tuva-Mongolian massif. Terra Nova, v. 20, p. 504-511. Ivanov, A.V., Perepeleov, A.B., Palesskii, S.V., and Nikolaeva, I.V., 2008, First data on the distribution of platinum group elements (Ir, Os, Ru, Pt, and Pd) and Re in island-arc basalts of Kamchatka. Doklady Earth Sciences, v. 420(4), p. 597-601. Ivanov, A.V., Demonterova, E.I., Rasskazov, S.V., and Yasnygina, T.A., 2008, Low-Ti melts from the southeastern Siberian Traps Large Igneous Province: Evidence for a water-rich mantle source? Journal of Earth System Science, v. 117, p. 1-21. Barry, T.L., Ivanov, A.V., Rasskazov, S.V., Demonterova, E.I., Dunai, T.J., Davies, G.R., and Harrison, D., 2007, Helium isotopes provide no evidence for deep mantle involvement in widespread Cenozoic volcanism across Central Asia. Lithos, v. 95, p. 415-424. Demonterova, E.I., Ivanov, A.V., Rasskazov, S.V., Markova, M.E., Ysnygina, T.A., and Malykh, Yu.M., 2007, Lithospheric control on Late Cenozoic magmatism at the boundary of Tuva-Mongolian massif, Khubsugul area, Northern Mongolia. Petrology, v. 15, p. 93-110. Ivanov, A.V., 2007, Evaluation of different models for the origin of the Siberian Traps. In: Foulger, G.R., Jurdy, D.M., eds., Plates, plumes and planetary processes: Geological Society of America Special Paper, v. 430, p. 635-668. Perepelov, A.B., Puzankov, M.Y., Ivanov, A.V., Filosofova, T.M., Demonterova, E.I., Smirnova, E.V., and Chuvashova, L.A. Neogene basanites in Western Kamchatka: Mineralogy, geochemistry, and geodynamic setting. Petrology, v. 15, p. 488-508. Zorin, Yu.A., Turutanov, E.Kh., Kozhevnikov, V.M., Rasskazov, S.V., and Ivanov, A.V., 2006, The nature of Cenozoic upper mantle plumes in East Siberia (Russia) and Central Mongolia. Russian Geology and Geophysics, v. 47(10), p. 1046-1059. Brandt, I.S., Rasskazov, S.V., Ivanov, A.V., Reznitskii, L.Z., and Brandt, S.B., 2006, Radiogenic argon distribution within a mineral grain: implications for dating of hydrothermal mineral-forming event in Sludyanka complex, Siberia, Russia. Isotopes in Environmental and Health Studies, v. 42, p. 189-201. Litasov, K.D., Litasov, Yu.D., Ivanov, A.V., Rasskazov, S.V., Yurimoto, H., Demonterova, E.I., Sharygin, V.V., and Mal’kovets, V.G., 2006, Upper mantle beneath the Udokan volcanic field: study of peridotite xenoliths in Late Cenozoic basaltoids. Russian Geology and Geophysics, v. 47(1), p. 134-155. Perepelov, A.B., Puzankov, M.Yu., Ivanov, A.V., and Filosofova, T.M., 2006, Basanites of Mt. Khukhch: First Mineralogical-Geochemical Data on the Neogene K-Na Alkaline Magmatism in Western Kamchatka. Doklady Earth Sciences, v. 409(5), p. 765-768. Ivanov, A.V., and Balyshev, S.V., 2005, Mass flux across the lower-upper mantle boundary: vigorous, absent, or limited?. In: Foulger, G.R., Natland, J.H., Presnall, D.C., Anderson, D.L., eds., Plates, plumes and paradigms: Geological Society of America Special Paper, v. 388, p. 327-346. Ivanov, A.V., Rasskazov, S.V., Feoktistov, G.D., He, H., and Boven, A., 2005, 40Ar/39Ar dating of Usol’skii sill in the southeastern Siberian Traps Large Igneous Province: evidence for long-lived magmatism. Terra Nova, v. 17, p. 203-208. Brandt, S.B., Rasskazov, S.V., Brandt, I.S., and Ivanov, A.V., 2004, Formal analysis of isochron construction in 40Ar/39Ar geochronology. Geochemistry International, v. 42, p. 728-735. Ivanov, A.V., and Palesskii, S.V., 2003, Analysis of osmium isotope ratios by ICP-MS on chemical etching of molybdenite as applied to the Re-Os dating with preliminary neutron activation. Geochemistry International, v. 41, p. 1028-1032. Didenko, A.N., Kozakov, I.K., Bibikova, E.V., Vodovozov, V.Y., Khil’tova V.Y., Reznitskii, L.Z., Ivanov, A.V., Levitskii, V.I., Travin, A.V., Shevchenko, D.O., and Rasskazov, S.V., 2003, Paleoproterozoic granites of the Sharyzhalgai block, Siberian Craton: paleomagnetism and geodynamic inferences. Doklady Earth Sciences, v. 390(4), p. 510-515. Rasskazov, S.V., Logachev, N.A., Ivanov, A.V., Boven, A.A., Maslovskaya, M.N., Saranina, E.V., Brandt, I.S., and Brandt, S.B., 2003, A magmatic episode in the western rift of East Africa (19-17 Ma). Russian Geology and Geophysics, v. 44(4), p. 307-314. Rasskazov, S.V., Saranina, E.V., Demonterova, E.I., Maslovskaya, M.N., and Ivanov, A.V., 2002, Mantle components in Late Cenozoic volcanics of the East Sayan (from Pb, Sr and Nd isotopes). Russian Geology and Geophysics, v. 43(12), p. 1065-1079. Rasskazov, S.V., Bowring, S.A., Howsh, T., Demonterova, E.I., Logachev, N.A., Ivanov, A.V., Saranina, E.V., and Maslovskaya, M.N., 2002, The Pb, Nd and Sr isotope systematics in heterogeneous continental lithosphere above the convective mantle domain. Doklady Earth Sciences, v. 387A(9), p. 1056-1059. Brandt, I.S., Rasskazov, S.V., Brandt, S.B., and Ivanov, A.V., 2002, Thermal-field propagation in an exocontact zone of a magmatic body and its impact on radiogenic isotope concentrations in minerals. Isotopes in Environmental and Health Studies, v. 38, p. 47-58. Rasskazov, S.V., Saranina, E.V., Logachev, N.A., Ivanov, A.V., Demonterova, E.I., Maslovskaya, M.N., and Brandt, S.B., 2002, The DUPAL mantle anomaly of the Tuva-Mongolian massif and its paleogeodynamic implication. Doklady Earth Sciences, v. 382(1), p. 44-48. Brandt, I.S., Rasskazov, S.V., Ivanov, A.V., and Brandt, S.B., 2002, Effect of radiogenic argon distribution within a mineral on the determination of diffusion parameters. Geochemistry International, v. 40, p. 57-62. Balyshev, S.O., and Ivanov, A.V., 2001, Low-density anomalies in the mantle: Ascending plumes and/or heated fossil lithospheric plates? Doklady Earth Sciences, v. 380(7), p. 858-862. Rasskazov, S.V., Logachev, N.A., Ivanov, A.V., Boven, A.A., Maslovskaya, M.N., Saranina, E.V., Brandt, I.S., and Brandt, S.B., 2001, Magmatic episode of 17–19 Ma B.P. in the West Rift of Eastern Africa and its geodynamic significance. Doklady Earth Sciences, v. 381(8), p. 921-924. Ivanov, A.V., Rasskazov, S.V., Chebykin, E.P., Markova, M.E., and Saranina, E.V., 2000, Y/Ho ratios in the Late Cenozoic basalts from the Eastern Tuva, Russia: An ICP-MS study with enhanced data quality. Geostandards Newsletter. Journal of Geostandards and Geoanalysis, v. 24, p. 197-204. Rasskazov, S.V., Logachev, N.A., Brandt, I.S., Brandt, S.B., Ivanov, A.V., Demonterova, E.I., and Smagunova, M.A., 2000, Impulse migration of the Quaternary volcanism in the Eastern Tuva field. Doklady Earth Sciences, v. 373A(6), p. 953-957. Rasskazov, S.V., Ivanov, A.V., and Demonterova, E.I., 2000, Deep-seated inclusions from the Zun-Murin basanites (Tunka rift valley, Prebaikalia). Geologiya i Geofizika, v. 41(1), p. 100-110. (in Russian). Ivanov, A.V., Rasskazov, S.V., Brandt, S.B., Brandt, I.S., Punzalan, L.E., and Boven, A.A., 2000, Chronology of Late Paleozoic and Mesozoic events in the Udokan Ridge: 40Ar/39Ar dating of primary and secondary minerals from intrusive rocks. ). Geologiya i Geofizika, v. 41(5), p. 686-695. (in Russian). Rasskazov, S.V., Ivanov, A.V., Brandt, I.S., and Brandt, S.B., 1998, Migration of the Late Cenozoic volcanism of the Udokan field in the Baikal and Olekma–Stanovoi systems. Doklady Akademii Nauk, v. 360(4), p. 503-506. Ivanov, A.V., Rasskazov, S.V., Boven, A.A., Andre, L., Maslovskaya, M.N., and Temu, E.B., 1998, Late Cenozoic alkaline basanite magmatism of the Rungwe Province, Tanzania. Petrology, v. 6, p. 208-229. Brandt, S.B., Rasskazov, S.V., Brandt, I.S., Ivanov, A.V., and Kunk, M.J., 1997, The inverse problem of argon diffusion from minerals: determination of kinetic parameters from stepwise-heating experiments. Isotopes in Environmental and Health Studies, v. 33, p. 399-409. Rasskazov, S.V., Boven, A.A., Andre, L., Liegeois, J.-P., Ivanov, A.V., and Punzalan, L., 1997, Evolution of magmatism in the northeastern Baikal rift system. Petrology, v. 5, p. 101-120. Rasskazov, S.V., and Ivanov, A.V., 1996, Episodes and geodynamical environment of Quaternary volcanism in the Baikal rift system and southeastern margin of the Eurasian lithospheric plate. Doklady Akademii Nauk, v. 349A(6), p.959-962..